Time to get onboard the ship – but do not be frightened. Not all pirates are like Blackbeard! Are you familiar with this guy? Hopefully, as he is the most notorious and well-known pirate of all times – a tall man with a black, long beard, always braided and tied with ribbons. To make it more dramatic, he would light cannon fuses that had been dipped in lime water and salt, and stuff them under the beard. The smoke would then circulate around his head and give him an ever spookier look. He was known for being kind to those who were cooperative with him, but intolerant to those who weren’t. he was the commander of four ships and over 300 men in the early 16th century – raging the seas in search of gold and other precious. He led a dangerous life, ending with kingdoms setting a price on his head. As they came close, he attacked back – and was killed in a gunfight. Today, you will meet Blackbeard’s´ counterpart – a good pirate, not out of blood, simply gold and doubloons on loads if he is lucky enough. Let´s join this quest for riches along with Plucky Pirates Video Slot from Nektan! The entire game reminds one of the pirate themes, as you can see everything that comes to mind when hearing the theme plot. The lower valued symbols are the classic card deck symbols, ranging from 10 to Ace, all worth differently depending on what bet you choose to play in the game. The higher valued symbols are then the red-bearded pirate Jermmy, his big pirate ship, the crossed swords, the treasure chest filled with doubloons, as well as the game logo, which is the top player of the game. Above these symbols, there are a few extra special ones that you should keep a lookout for while spinning the reels. The Wild Parrot and the fierce canon are the ones to look for. We will reveal all of these below! The main feature of Plucky Pirates Video Slot is triggered when you land on 3 of the canon symbols. When these lands scattered on the reels, you are blasted into a round of spins – which allows you to collect some extra wins. Above this, there is a Wild parrot which can step in to substitute for all symbols apart from the canon. This to make for better doubloon wins. 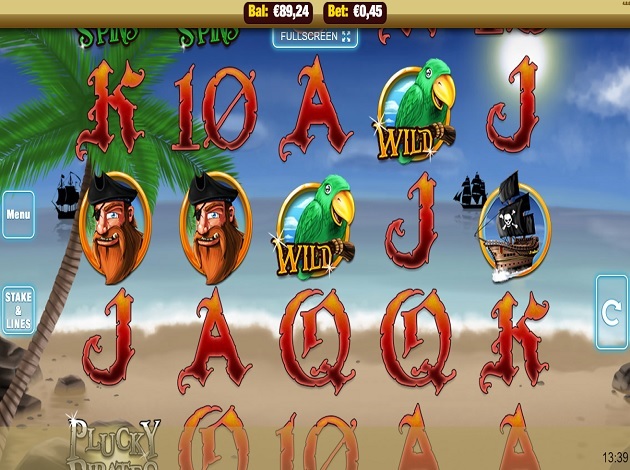 Plucky Pirates is a Video Slot played with 5 reels over 3 rows, and additional 9 paylines. The payouts on the reels are made per individual line win. The line wins contains 3 Wild cards, and always pays the highest value. The bet values can be adjusted by pressing the “Stake & Lines” button, where you can see all your options. These are made to be versatile, to make players be able to choose their own options. The game holds an RTP of 96.34%. Plucky Pirates is a gloomy Video Slot, one with vibrant colours, innovative design, and alluring graphics. The game doesn’t offer too many features, but the game immediately makes up for this with its views and looks. The game is set on an island beach, with palm trees in the corners, a treasure chest filled with gold, and a horizon far back. On the calm sea, you can see the giant pirate ship in the background – and in front of all of this, the reels are placed. The reels are made completely transparent to make the stunning backdrop pop out even more. The symbols and animations on the reels are all made in flawless details, vibrant colours, and cool pirate gears. 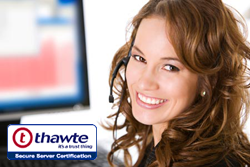 Nektan is one of the leading international gaming solutions and services providers. The company serves both the US and European markets, driving gaming transactions, and offer white label casinos, game distribution, and game studios. Nektan is a company founded to take advantage of the explosion in mobile opportunities. The company was deliberately developed focusing on the white label casinos to get a leverage in its assets, expertise, and networks across North America and Europe. It is an international company, being a B2B mobile platform and gaming provider, and is today known as one of the best when it comes to this – the evolvement in mobile gaming. The portfolio and roadmap of Nektan include over 100 HTML5 game titles from various vendors. These include the popular Blueprint Gaming, Red Tiger, Realistic, and more. The categories vary from Slots, Jackpots, Keno, and Video Poker. Some of these games are; Best of British, Mayan Marvels, Dragons Dynasty, Magic Touch, and Plucky Pirates. Shiver me timbers, it is time to try out Plucky Pirates, now!